Discussions About Using PyMata, s2a_fm, and Physical Computing. I just released the source code and a tutorial on building a remote controlled robot using the micro:bit. A micro:bit gesture based controller. 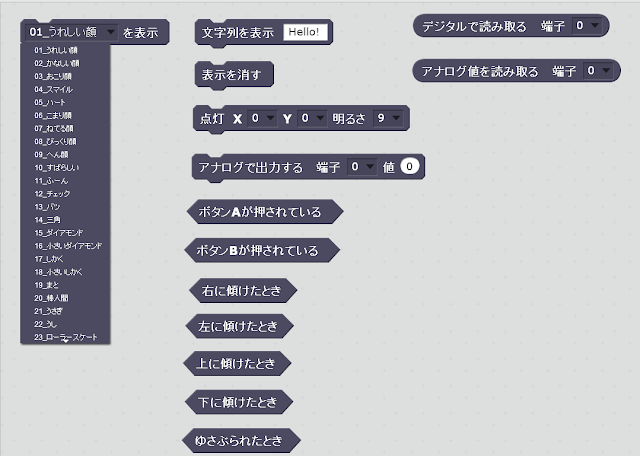 A remi Web Page Controller. 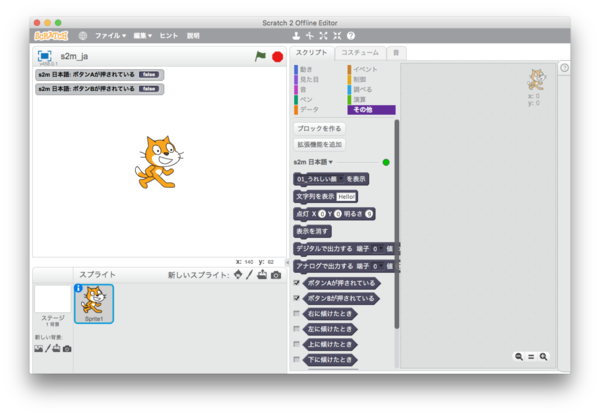 I just released a library to control the Spark Fun gamer:bit for the micro:bit. The library supports all the buttons and "poke home" connectors on the back of the board. You can configure the library to report single or simultaneous button presses. I just released a library to control the Kitronik Motor Driver Board. 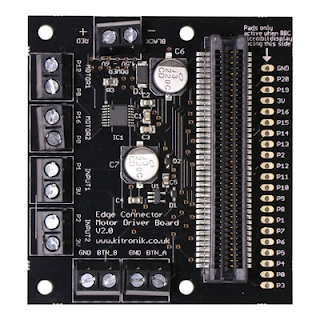 I selected this board over all others, mainly because it uses screw terminals that securely hold the motor and power wires in place. No more wires popping out due to motor vibration. It also has a breakout pad for the micro:bit pins, making it easy to add additional devices, like an ultrasonic distance sensor to the project. The board is extremely well made and works extremely well and is priced very appropriately. I had some questions about its use and received prompt and courteous service from the Kitronik's folks. I ordered the board from Pimoroni and when it was first received I thought I had some issues with it. It turned out there were no issues with the board, but with the author. Because I thought I might have to return the board, I contacted Pimoroni and with patience and grace, they helped solve my issues. No return needed and I was able to quickly get to my latest project. Another great company to do business with! I just released a package on GitHub that will allow you to use PyCharm to program the micro:bit. Champierre, who not only provided the Japanese translation for the s2m blocks, has featured s2m on his blog. Check it out! Much thanks to 전형기 for providing the Korean translation and to HSIEH, Li-Yi for providing the Traditional (tw) Chinese translation. Thanks to Junya Ishihara, s2m, the Scratch to micro:bit bridge, has been translated into Japanese. Thank you, Junya! 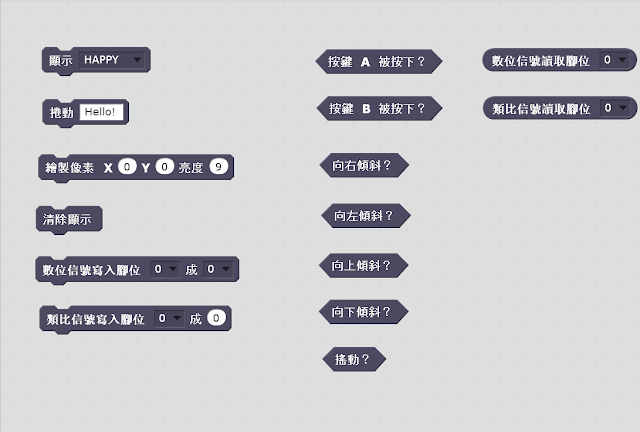 If you would like to translate s2m into your native language, you can find out how to do it in the User's Guide. Copyright (c) 2014 Alan Yorinks All right reserved. Simple theme. Powered by Blogger.